Carmen on the Couch: Analyzing Bizet's Bold Heroine She smokes and drinks and brings men to their knees just by crooning a breathy Habanera. She's Carmen, the supreme diva of operatic femmes fatales, the controversial heroine of Bizet's popular opera. 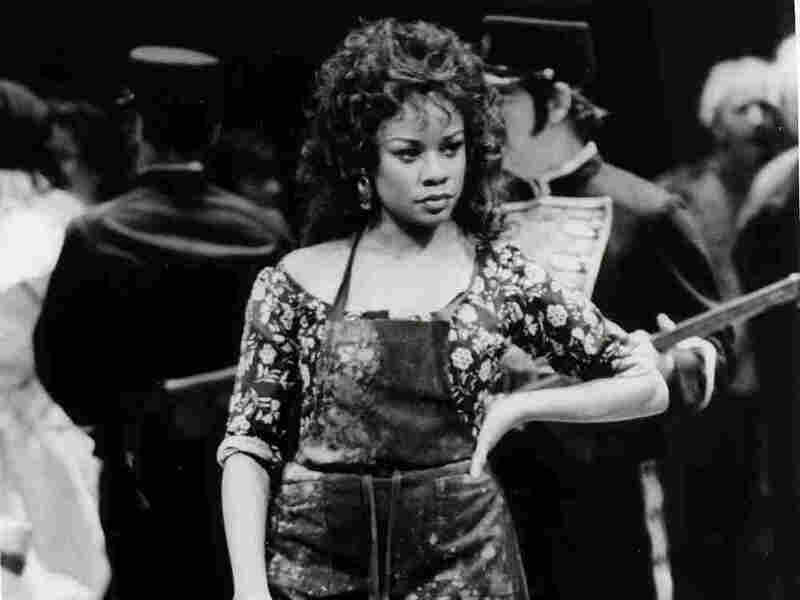 Denyce Graves as Carmen, at the Metropolitan Opera in New York. Hear famous singers throughout the ages perform Bizet's opera. September marks the start of the new opera season. Again the perennial favorite, "Carmen," by Georges Bizet, will take the stage at opera houses in places like New York, London and Vienna. Carmen is the supreme diva of operatic femmes fatales. She smokes and drinks, runs with a band of smugglers and brings men to their knees just by crooning her breathy Habanera (audio). Hear experts and artists discuss aspects of Carmen. See Bizet's Carmen in its many cross cultural guises.